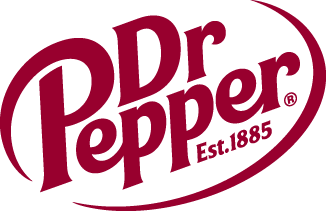 The Dr Pepper Dallas | Dallas Cup, Inc. The Dr Pepper Dallas Cup website is designed to present information on the Dr Pepper Dallas Cup Tournament and upcoming events. We collect very little information about the visitors to our site. Dr Pepper Dallas Cup does not publish names of registered players on our web site. Names and addresses/phone numbers of Dr Pepper Dallas Cup officers and volunteers may be published to assist our members in carrying out the objectives of Dr Pepper Dallas Cup. We expect that visitors to our site will respect the privacy of our members and use the published information for legitimate Dr Pepper Dallas Cup activities. Our users are not required to register in order to use this website. During the team registration process, a user is required to give their contact information (email address) and other demographic information (name and club affiliation). It is optional for the user to provide demographic information but we encourage each user to provide all information so we can provide better service on our site. We do not make our electronic mailing list available for commercial use. The list is solely for the purpose of distributing information. A cookie is a piece of data stored on the user's hard drive containing information about the user. Usage of a cookie is in no way linked to any personally identifiable information while on our site. Once the user closes their browser, the cookie simply terminates. If a user rejects the cookie, they may still use our site. We will share aggregated demographic information with our partners and sponsors. This is not linked to any personal information that can identify any individual person. This web site contains links to other sites. Please be aware that Dr Pepper Dallas Cup is not responsible for the privacy practices of such other sites. We encourage our users to be aware when they leave our site and to read the privacy statements of each and every web site that collects personally identifiable information. This privacy statement applies solely to information collected by this Web site. If you have any questions about this privacy statement, the practices of this site, or your dealings with this Website, you can contact Dr Pepper Dallas Cup at the addresses shown below.